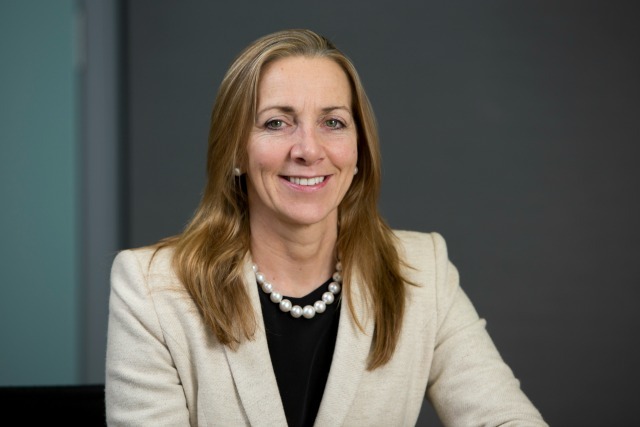 Rona Fairhead, the new chairman of the BBC Trust, has used her first speech in the role to say the broadcaster needs to adapt to changing viewing trends and "catch-up" with competitors. Fairhead, the former chairman and chief executive of the Financial Times Group and executive director of its parent group Pearson, joined the BBC in August 2014, following the surprise departure of Lord Patton on health grounds. She spoke at a Royal Television Society event last night, and set-out the four challenges she said the BBC faced in a changing media world: value for money; connecting with audiences; challenges from global competitors, and managing the corporation's commercial impact. She claimed it was in connecting with audiences that the BBC had the most work to do. She said: "When it comes to using data to understand its audiences the BBC is a long way behind the competition. "This was one of the less pleasant surprises on assuming my new role, although I know that efforts are now being made to catch up so that the BBC can offer a more personal service to licence fee payers." She said the issue of cost had also climbed the agenda. In research that accompanied the speech, conducted by ICM between November and December 2014, the 2,111 respondents placed value for money as their top concern for the BBC in the future, followed by impartiality in news. Neither of these concerns are currently part of the "Six Public Purposes" that the BBC is focusing on. They are: citizenship and the civil society; promoting education and learning; stimulating creativity; representing the UK; bringing the world to the UK and vice-versa; and adapting to emerging technologies. She said, "Let’s remember that value for money is not about doing everything for the lowest cost in the short term. It’s about the role that audiences want the BBC to fulfil. It’s about making choices for the long term." Competition was another area of concern, she said, with the BBC no longer the "800 pound gorilla" it was when Greg Dyke characterised it as such 15 years ago. The BBC now competed with "mega-indies" and huge media owners like Google and Amazon. She said these competitors were creating "a new eco-system for digital content". Lastly, Fairhead said the BBC had to be careful of its impact on other media owners, particularly newspapers. She said: "I do believe that the BBC has to show that it can be more open and collaborative – while respecting its editorial position. It should do more sharing of IP and content, get better at linking and attribution, and it should help close the democratic deficit in local political coverage." She ended with a robust defence of the organisation: "There are some people who believe the BBC should no longer exist. There are some who believe the BBC has to change. There are some who want the BBC to fulfil all the priorities it has today. "Some have suggested that the BBC should be much smaller – but let’s be clear that a much smaller BBC would not be the BBC as we know it. "It wouldn’t have the appeal to broad audiences, it wouldn’t have the firepower to create great international journalism or world-beating drama or achieve its public purposes. I see no public appetite for that."